1990. Arthur, 20 years, studying in Rennes. 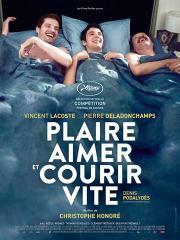 His life changes when he meets Jacques, a writer who lives in Paris with his young son. All summer long, Arthur and Jacques enjoy and love each other. But Jacques knows that this kind of love needs to live fast.